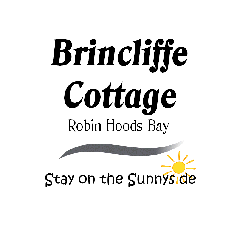 Brincliffe Cottage is deceptively large and provides spacious comfortable accommodation. The cottage is in the heart of Lower Robin Hoods Bay, located at the Junction of Tyson’s Steps and Sunnyside (see below for sketch plan). The ground floor of the cottage provides for a large well equipped kitchen with a farm house style dining area, a large shower room with wc and a large living room with seating for up to eight, great for enjoying a DVD or watching Freeview with friends. Also within the Living room is a cast iron feature spiral staircase providing access to the First Floor. On the first floor the family bedroom, en-suite master bedroom and a separately accessed toilet can be found. Within the family bedroom is one child’s single bed, a comfortable double bed and plenty of space for a travel cot. The master bedroom has a king sized bed and a bathroom. All rooms within the cottage are decorated in a contemporary style and the cottage is ideal for all seasons as it has full central heating, perfect for returning from a winters walk. For photographs please click here to see photographs of Brincliffe Cottage.